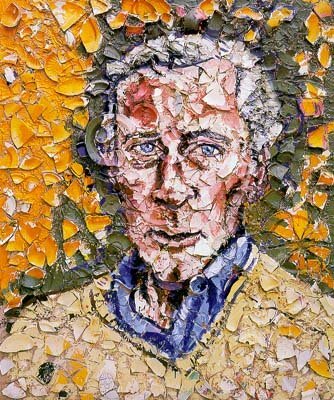 Schnabel’s portrait of Willim Gaddis. Georg Trakl was a pharmacist. E.T. A Hoffman was a lawyer. Kate Smith could not read music. On page 106 Vanishing Point..
Wallace’s four works published in The New Yorker are also available:here. From Overlooked – Five direly underappreciated U.S. novels 1960. “W’s M” is a dramatic rendering of what it would be like to live in the sort of universe described by logical atomism. A monologue, formally very odd, mostly one-sentences. Tied with “Omensetter’s Luck” for the all-time best U.S. book about human loneliness. These wouldn’t constitute ringing endorsements if they didn’t happen all to be simultaneously true — i.e., that a novel this abstract and erudite and avant-garde that could also be so moving makes “Wittgenstein’s Mistress” pretty much the high point of experimental fiction in this country. 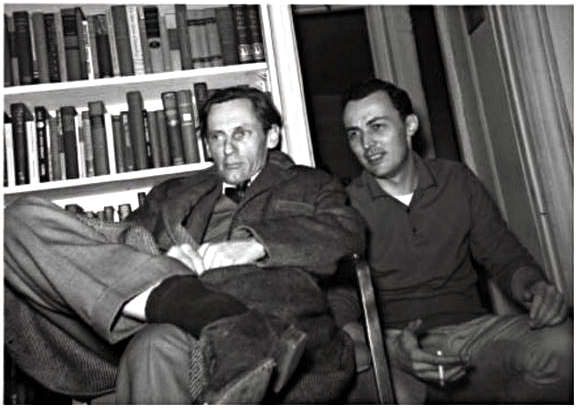 David markson on drinking with malcolm lowry & dylan thomas He looked great here on youtube. They all seem like they shouldn’t have driver’s licenses, even. You do become aware of the names, of course. Who are they, Lethem, Foer, Eggers? Are they mostly named Jonathan? 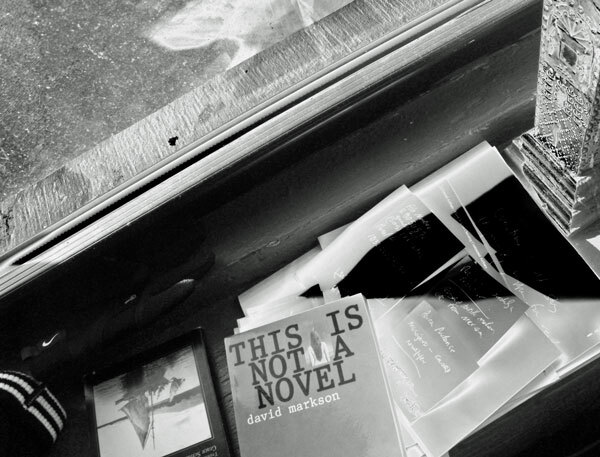 An Interview with David Markson from Bookslut. Cash bag writers -from Venom Glitterati. It is said that in the street markets of Florence Leonardo da Vinci would buy the various small birds that were for sale—the ones caged at the food stands, the ones for purchase by those with a palate for small roasted finches and warblers—and then he would go somewhere and set them free. I presume the birds were in cages. Though I do not know. Surely bird cages are an ancient art. You see, Leonardo was a vegetarian. If he saw other animals under the same market duress I suppose he might have let those go as well. After buying them. Monkeys and dogs and such. This would only make sense. He would want to spare all the innocents from the dastardly meat eaters. Though doubtless there were some animals which were not for sale as food. Decisions would have to be made. Was he only going to buy the birds and animals that were in the most immediate danger? Were there labels to help with momentous decisions such as this? Food monkey. Companion monkey. Edible parrot. This dog is for eating, this one is not. Please do not eat these birds. One does not want to think of the trial and error involved in birdeaters knowing which were the tastiest of birds. Let us say nothing of the dog testers. Finished reading “Vanishing Point” by David Markson. “The Universe was created on October 26, 4004 B.C. 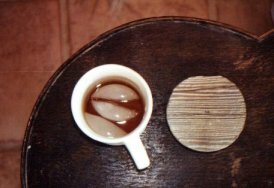 At 9.00 A.M.
“Tolstoy had an illegitimate son he never acknowledged. Karl Marx had an illegitimate son he never acknowledged. August 20 just like John Lennon and his son. (they are Libra – October boys). Saarinen’s design are all over the world in office, in homes and at the airports. This chair is not designed by Eero Saarinen. 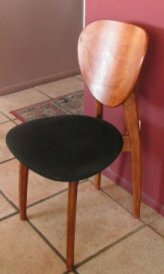 Paid $10.00 for this Italian chair at garage sale. (click the link to see the actual price of this chair at retail. Mine has black seat and the sample does not). Saw” the Son” by Dardenne brothers from Belgium. 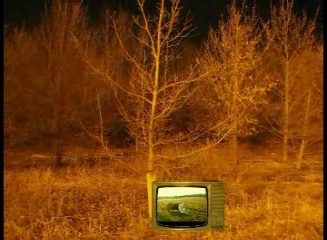 Another minimal and affecting depiction of family tragedy. character’s head as the camera follows him around. “Karl Marx learned Russian mainly to read Pushkin. I learned English to read the screenplay of “Rebel Without a Cause”. Stanley Kunitz delivered eulogy at Mark Rothko’s funeral according to David Markson. David Markson was born on Dec 20, 1927 (Sagittarius with Scorpio Moon ) Bruce Lee who died young share this combo. Unlike ill fated Bruce, David Markson is alive and still writing. 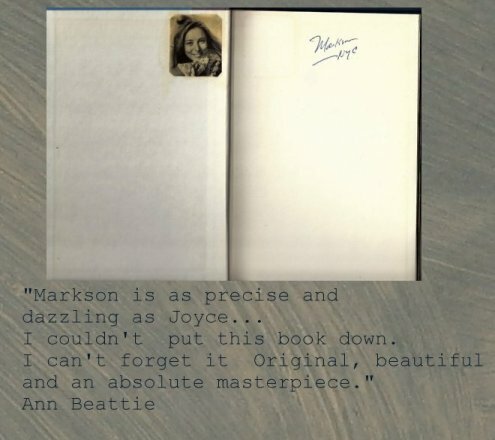 From Elegant variation, do not miss Dalkey’s inteview on David Markson. What is the point? Stephen Michelmore finds the novel alive and well. 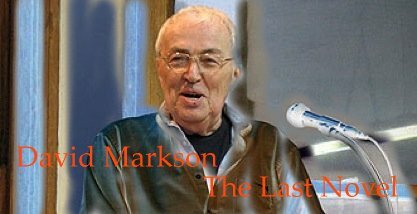 Vanishing Point That Markson achieves this depth of character through a bone-dry catalogue of commentary largely centered on art and death is nothing short of remarkable. 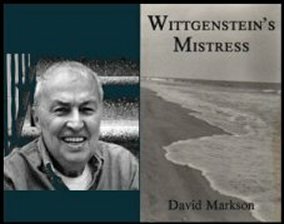 “David Markson’s Reader’s Block is written in very short paragraphs.